Christian's career in Governmental Relations started as the New Orleans Liaison for the Randy Ewing for Governor Campaign. Once the election concluded, he accepted a position at the Pentagon, where he served as a legal analyst and worked with the Department of Defense under Secretary Rumsfeld on the PEN/REN Project, whose responsibility was to rebuild the Pentagon after 9/11. From there, he went on to pursue his Juris Doctor from the Loyola University at New Orleans. At Roedel Parsons, Christian has successfully tried cases involving client exposures exceeding 5 million dollars. In his litigation practice, he was one of the primary litigators in the property acquisition of the LSU/VA medical center complex in the City of New Orleans. 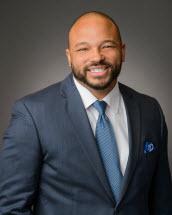 While an accomplished litigator, Christian predominately lobbies at the state and local level for a host of distinguished clients including; Major Oil and Gas entities, The U.S. Justice Action Network (a Bi-Partisan organization committed to ending the over-incarceration epidemic in the U.S.), Charter Schools USA and UBER. As a lobbyist, Christian served as BP's liaison to former Governor Bobby Jindal, where over the course of several months, he was responsible for daily gubernatorial briefings on the status of the Deepwater Horizon event. Christian is also a deeply rooted in the community. He serves on the Advisory Board of Son of a Saint, a homegrown, mentorship organization for boys with non-present fathers. He serves on the board of Firstline Schools, a non-profit charter school management organization, dedicated to ensuring every child in New Orleans receives an excellent education. He serves on the Board of Covenant House New Orleans, an organization dedicated to stabilizing the lives of homeless young people, and has also served on the New Orleans Recreational Development Commission (NORDC) formally known as NORD. Christian is recognized amongst several leading business groups for his leadership. He works with the Louisiana Association of Business and Industry (LABI) on the Emerging Leaders Council and recently participated in a pilgrimage of business representatives to Washington DC to promote flood relief after the storms. As a member of the Council, he also works to integrate technical advancements in the workplace while establishing best practices in that regard. Additionally, Christian works with GNO, Inc. (the Economic Development Organization for Metro New Orleans) as a member the Next Gen Council, where his focus has been to help redefine what has been a parochial business environment into a globally competitive one. Part of this process includes grooming select individuals to be the next generation of leaders. Christian received his B.A. in Philosophy from Fordham University at Rose Hill and his J.D. from Loyola University at New Orleans. He, and his wife Robin, live in New Orleans and are exceedingly proud of their sons, Claiborne, Johnny and Cassius.